DIRECTIONS: After washing hair with Xtra Clean Shampoo or Thermal Protect Shampoo, apply and distribute a small amount of product evenly through hair. Leave conditioner in for one minute for moderate conditioning or for up to ?ve minutes for deep conditioning. I have been using this product for so long I honestly didn't realize how great it was until I had to go without it. Since I moved from Synergi's shop location in Columbus Ohio and ran out of my Thermal Mousse I have tried several products to replace it and nothing even comes close. 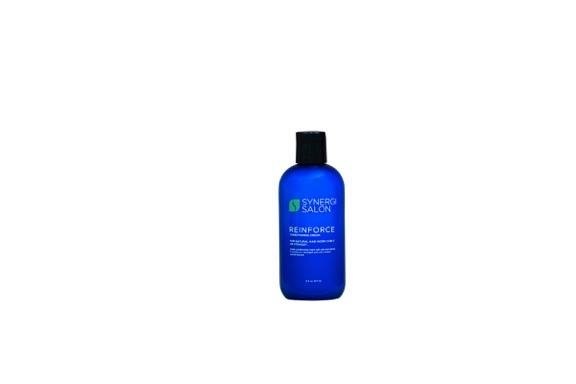 This is the only product that allows me to wear my naturally curly hair in a straighten hair style. It makes my hair soft and shiny and bouncy and keeps it from becoming frizzy in the Atlanta heat! I absolutely love this product and the price is unbelievable! It is a must have! I want to thank Abiona for helping me with products for my granddaughter, she knows her stuff! I am using Thermal Shampoo and Thermal Conditioner and there is NOTHING out there that compares, believe me I have tried them all!! Cleans, detangles and makes hair smell so good.